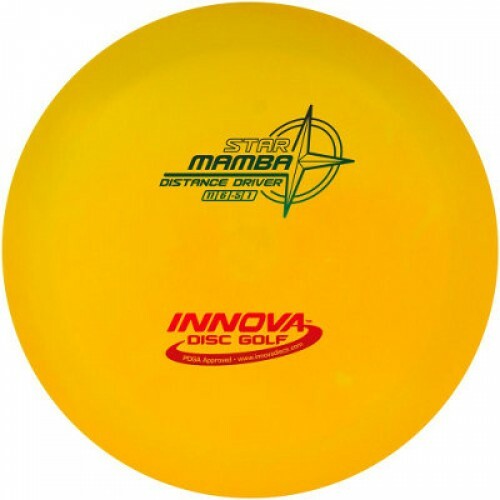 The Innova Star Mamba is a beginner friendly understable distance driver. It was designed to give maximum distance for minimal effort. The Mamba has more high speed turn than any other Innova long range driver. Throwing into a headwind is not recommended. For those with less driving speed, this disc golf driver will add distance. For those with medium speed drives, it will shape long lines for turnovers and straight shots, as well as hyzer flips and even big rolls.